80 MM spherical F.A.G. bearings in machined bearing housings. Square wall screen decks with standard side tension clamp bars. 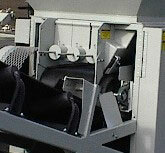 The second deck screen can be easily replaced with our end tension type deck for high production in fine screening. The Deutz Model FL42011 Air Cooled Diesel power plant has proven to be the best for our self-contained applications and includes a full one year warranty; 12 Volt starting system, and shut down protection. 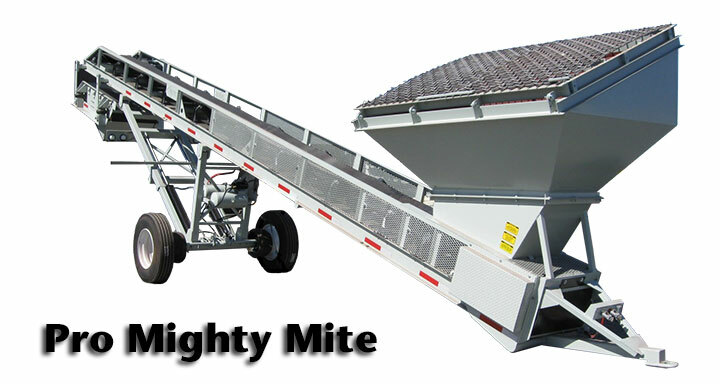 The Truss Frame of the 30" X 47' Main Conveyor is the strongest in the industry - Constructed of 4" x 2" and 2" x 2" tube-steel. Cross members form a 30" deep truss frame. 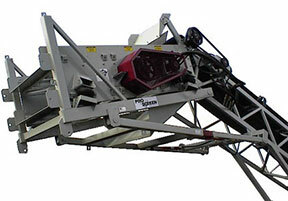 The 6.5 Cubic Yard Feed Hopper has a weighted feed gate that meters the flow with easy adjustment. This design allows the large rock to pass without damaging the feed belt. The Separating Grid Grizzly has 6” standard openings and is easily cleaned with a loader bucket by simply lifting up on the lifting lug, as every other grizzly bar lifts as a unit. 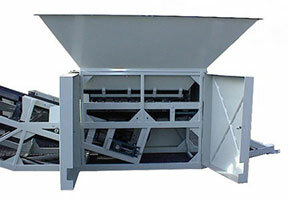 Controlled Feed of the 24" X 5' Belt Feeder is the key for high production. High quality components include Series "C" carrier rollers on 10" centers, 3 Ply belt with 1/4" cover, and access doors for maintenance and inspection. All Components are from leading USA brands which are easily obtainable when replacement time comes.Our hydraulic components include: Mataris pumps, Eaton motors, Gresen spool valves, and 2500 psi Cylinders. 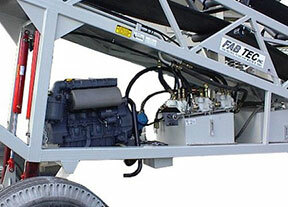 Our hydraulic system has full filter protection.